As a family dental practice, we take pride in providing an office that every family member can enjoy coming to. 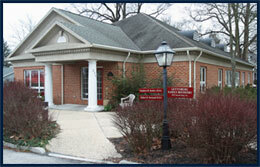 Dr. Steve Kohler and his team offer quality dental care in a friendly, caring atmosphere. Our team places a strong emphasis on patient education, so that each patient feels confident choosing the treatment plan that is right for them. Here, you are an important partner in your treatment and continued dental care. Whether you're looking to maintain healthy teeth and gums for the whole family, or you want to perfect your smile with cosmetic or restorative dentistry, we can help you. At Gettysburg Family Dental, our patients are our top priority. We're dedicated to making our practice warm and welcoming for you and your family. Under special circumstances, Friday and after normal hours are available.